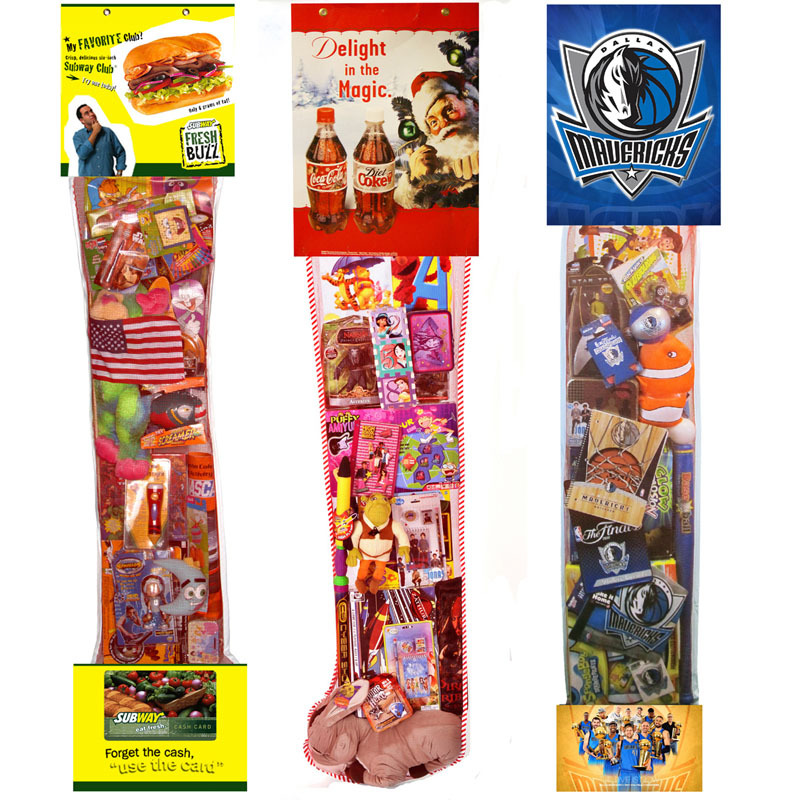 Giant 5ft Tall by 4′ Wide Pizza Stocking with Toys! Families and friends love to dine out during the holiday season, and restaurant promotions are a great way to increase visits from new and current customers! Our Giant Pizza promotions are stuffed with today’s hottest name brand toys and games (Approximately 60% Licensed and Name Brand Toys). Includes all raffle items you need for a successful promotion: ceiling kit, entry blanks, raffle box and poster. – Rewarding customers with a raffle ticket when they purchase a meal. – Creating a “Kids’ Night” by advertising with this exciting giveaway. – Holding regular raffles (weekly, bi-weekly or monthly). An on-going restaurant promo helps your customers think of you as they anticipate each new drawing! Rewarding customers with a raffle ticket when they purchase a meal. Creating a “Kids’ Night” by advertising with this exciting giveaway. Holding regular raffles (weekly, bi-weekly or monthly). An on-going restaurant promo helps your customers think of you as they anticipate each new drawing! 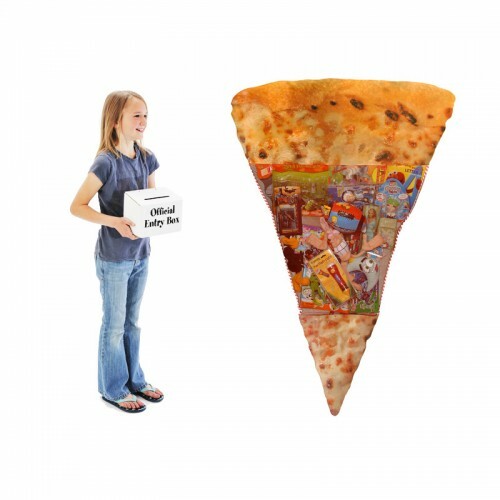 Be the first to review “Pizza Slice filled with toys” Click here to cancel reply.